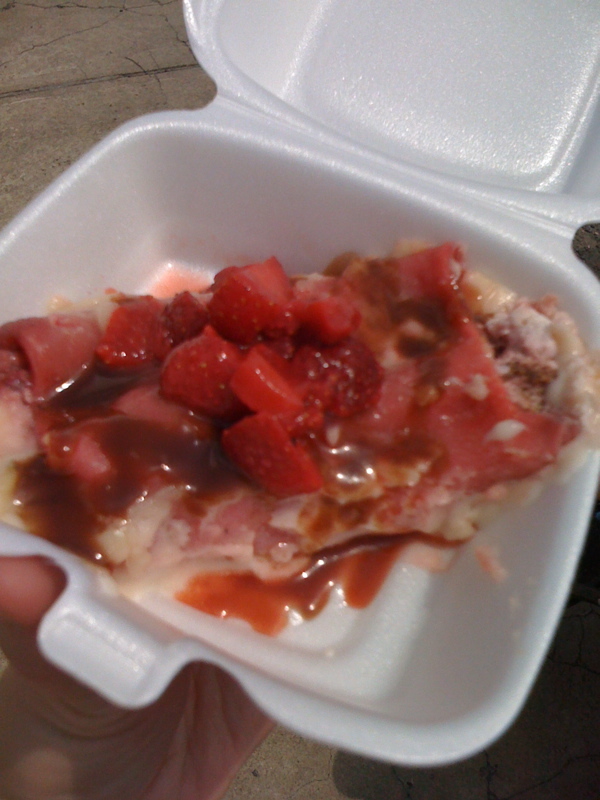 My family and I just returned from the Argenta Strawberry Foodie Fest, and we were, shall we say, blown away. Almost literally. 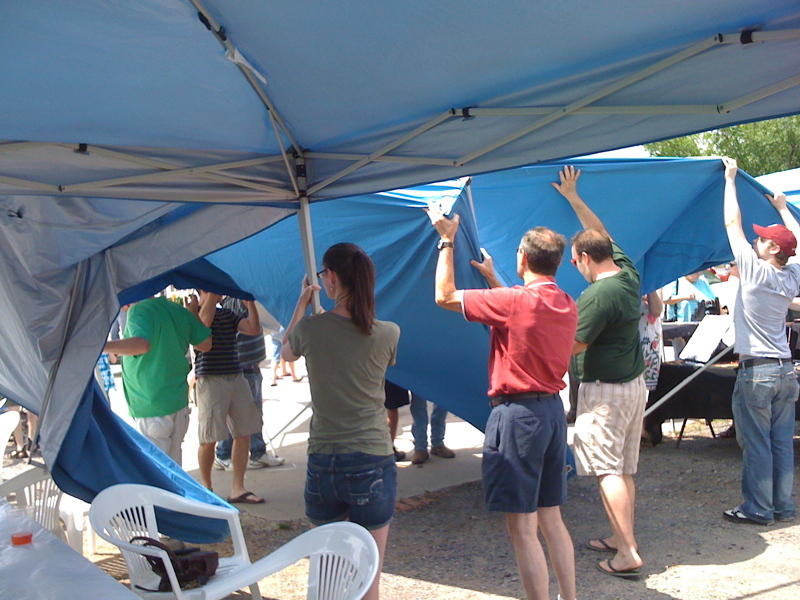 Patrons become participants as they halt progress of a blowing-away tent. In the very left-hand side of that photo, you’ll see my husband’s feet as he scurries from the dining tables to grab poles. He was right next to the one pole that actually broke, and somehow managed to grab the tent before it fell on my two-year-old son in the stroller next to him. Good times. Well, maybe I’m making that more dramatic than it was, but it was an interesting interruption to an otherwise awesome foodie event. The Argenta Strawberry Foodie Fest is the spring version of what we enjoyed in October as the Fall Foodie Fest. Some of the best restaurants in central Arkansas were in attendance, serving their succulent variations on the famed springtime berry theme. My portion of Ristorante Capeo's strawberry cannelloni. No, you can't have any. I missed the excitement at the tent because I had gone to purchase my chosen entrée, a savory strawberry pasta dish by Ristorante Capeo. The cannelloni pasta was flavored with strawberry purée and filled with a cream cheese and chicken filling, with just a touch of sweetness. It was topped with a savory berry sauce and fresh berries. Different, but amazing. Food purchases were fairly reasonable, each item ranging from 3 to 7 tickets, purchased at the event for $1 each. Some plate dinners were more, but still well within range of a more elaborate lunch out. Even with the undue excitement, I left satisfied with great food and a nice outing with the family, endcapped by a quick stroll through the adjacent Certified Arkansas Farmers Market. If the Argenta community continues with the Foodie Fest concept — and I hope they do — this event will continue to grow and become a destination for food lovers each season. Let’s just hope that next time, they get some sturdier, weighted tents!